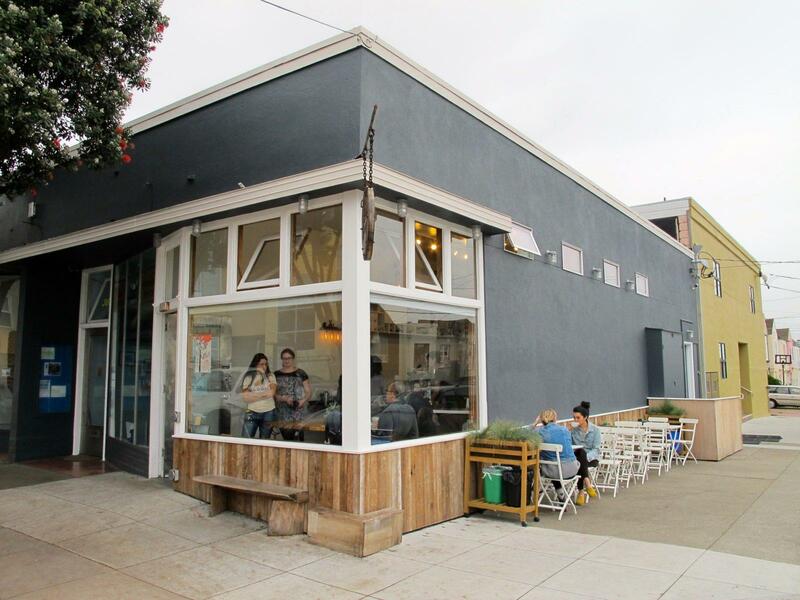 From small beachside cafés to large warehouse roasters; fog city reveals its true coffee heart. There is a number of places that have greatly shaped the world of specialty coffee. Many of them are in the US of course but also downunder and in Europe. After visiting Seattle and Portland four years ago and coming face to face with the incredible coffee cultures there, I was super keen to return to the US westcoast to meet San Francisco’s very best coffee roasters during a whirlwind tour of the US and Mexico. Shortly after landing in fog city I set out to get my first caffeine boost of the day that would keep me going for the next 8 hours while I tried to push my body to adjust to the new time zone. My first stop that day was the Blue Bottle shop on Mint Plaza where I grabbed a delicious Flat White to go, which the barista put in my awesome Joco travel mug. This place is pretty impressive to say the least. 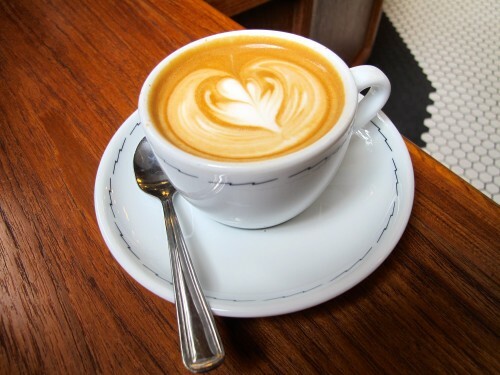 Located inside a gorgeous building with super high ceilings, Blue Bottle is a magnet for morning coffee junkies and those who appreciate a really special coffee experience. They also serve some pretty delicious looking dishes. 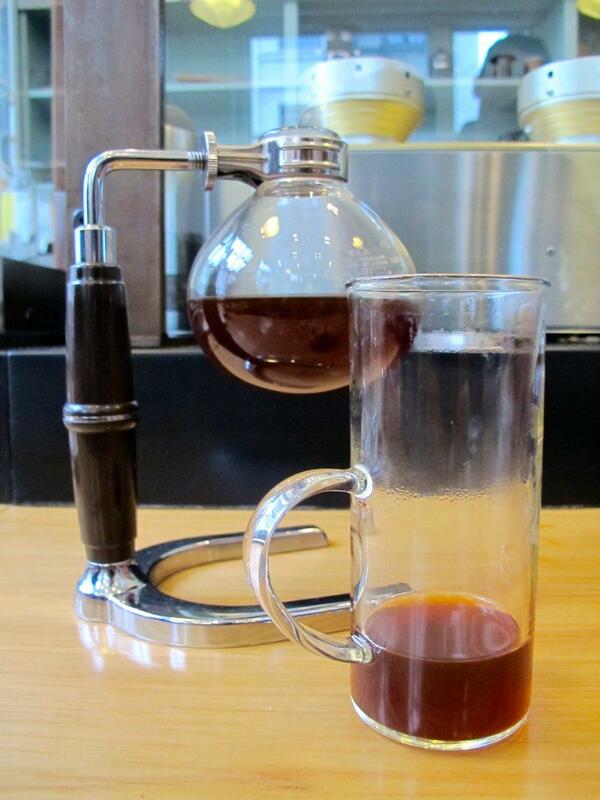 I decided to come back again at a different time and enjoy one of their expertly prepared Siphons. Later that day I stumbled upon a brand new café that’s opening its doors any day now. Located on the corner of Kearny and Market street, Mazarine Coffee will most likely become the Financial District’s new hotspot for really awesome coffee. Owned by Hamid Rafati, a successful Silicon Valley entrepreneur and run by a team of super nice and talented coffee peeps including Monica and Jason, Mazarine Coffee will serve Ritual and Klatch Coffee and offer both drip coffee, Espresso specialities prepared with a brand new Kees van der Westen Spirit (probably a very unique sight in this town) as well as great food and other drinks. If you happen to pass them in the next few days you should pop in to say hi. You’ll be one of their first ever customers! The next day I jumped on a local bus to visit Aquiles at Flywheel Coffee Roasters in Haight Ashbury. This legendary area of San Francisco has been home to many characters including Janis Joplin and Charles Manson. Located right next to the Whole Foods Market, Flywheel Coffee Roasters occupies a former bike shop and still retains many of its charming elements. Aquiles and his team focus on great quality coffee that he sources in small batches to ensure it never stays on the shelves longer than ten days. 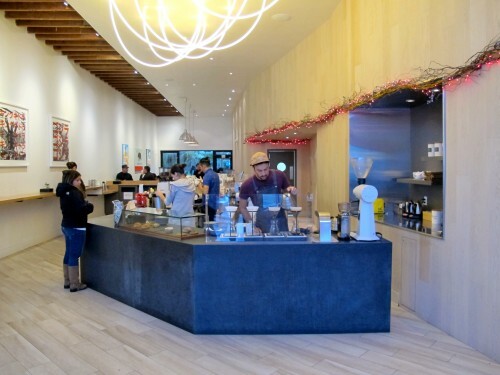 The huge open space is inviting and friendly and the coffee is excellent. 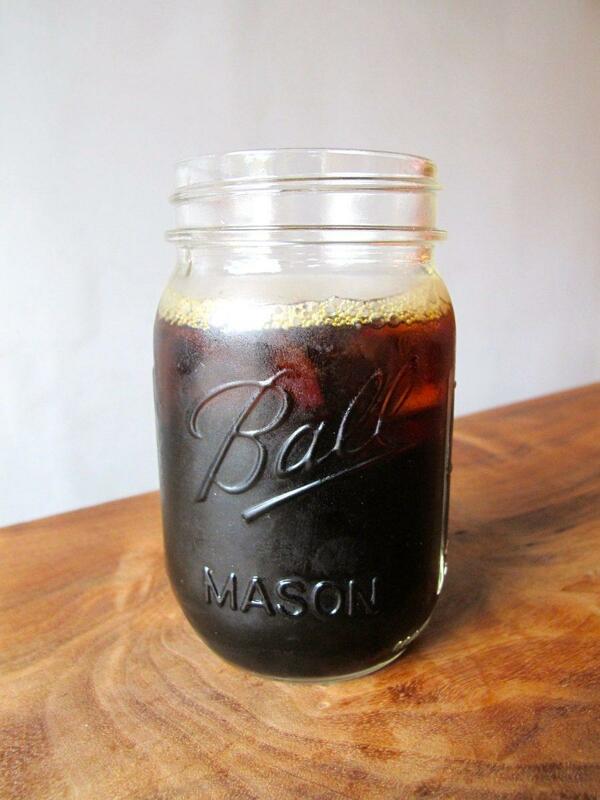 I sipped on a mason jar of their cold brew for a good half hour while chatting with Aquiles about his family’s long history in coffee and his own ambition to create something unique for the neighbourhood. After leaving Flywheel Coffee Roasters I jumped back on the 71 bus to head as far West as I had ever been. My destination was Andytown Coffee Roasters, one of the city’s latest arrivals on the coffee scene and probably the furtherst away from the center. I took a short stroll through American suburbia to get to the small corner shop café on Lawton street. This part of town feels so far away from anything you might never even associate with San Fran if it wasn’t for the hills and slightly overcast weather. Lauren and Michael Crabbe, the husband and wife pair behind Andytown Coffee Roasters always wanted to create a homely place that seamlessly integrated into its surroundings. Headbarista and roaster Sandra took great care of me and suggested I try their “snowy plover” specialty drink, which consists of two shots of Espresso, Pellegrino soda water, ice and a dollop of whipped cream. Needless to say I rolled out of there happy and satisfied. My third day in San Francisco started off in my most favourite part of town, The Mission. Matthew Hein, owner of famous roasters Four Barrel was so kind to offer my two friends from Seattle and I a cupping and a little tour around their busy facilities. We couldn’t have wished for a better start into the day. Hein, a ball of energy who made us feel really at home showed us around the fantastic space that Four Barrel occupies, including a little viewing of the ancient Dutch four barrel roaster they still use to make test runs and we joined Taylor and a group of local students for a cupping next door. The set up at Four Barrel is really great. Two barristas operate two Slayers while another drip specialist freshly prepares slow coffee orders on the left side of the space. 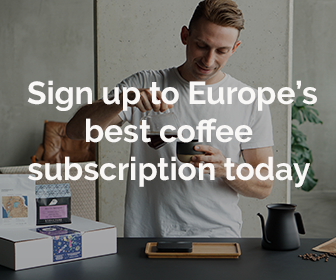 Their commitment to excellent coffee is evident from the first moment you walk in and Hein said his buyers spend up to nine months a year traveling the world to seek out the finest coffees. Nicaragua only just made its debut in their product pallette because until now they hadn’t found a single finca that could meet their processing standards. Exciting times over on Valencia Street! Afterwards we tucked into some delicious carnitas and burritos at Cancun, one of the area’s most famous Mexican joints and then spent a while overlooking San Francisco from Dolores park. If only we could have these views in Amsterdam! Our next stop on the list was Sightglass Coffee Roasters. These guys have also been around for a few years and recently opened their gorgeous second outlet on 21st Street. This smaller space is beautifully designed and decorated and the guys here were super kind. Especially after it turned out that Peter Smith, Sightglass’ Wholesale Buyer and I had miscommunicated on where we were actually supposed to meet. The peeps at 21st street helped me out to rearrange my appointment and jump into an Uber to be over at the main roastery on 7th street in a flash. This incredible space literally blew me away! A three floor barn like shop with a massive central bar and the huge roastery right at the front. Despite its size it still feels cozy and after finally shaking hands with Peter we sat down at the balcony upstairs from where I had a commanding view of the place. Sightglass, like Four Barrel, have significantly helped to put SF on the coffee map and like Four Barrel, their aim to be purveyors of only the best coffees. I tried their bombastic Owl’s Howl Espresso, which is also incredibly popular amongst their carefully selected partners and which I also got to enjoy as a cold brew in LA a few days later. More on that soon. The next morning, San Francisco had a bit of downer in store for us. A huge storm that began to pound the Bay Area over night had caused massive flooding in certain parts, cut power supply to my auberge and surrounding area and massively messed up the flight schedules at four major airports. After finally managing to sorting out my flights and deciding to re-book my trip to LA to the next day, I headed down to Valencia once again to check out the last must-see coffee spot on my list. 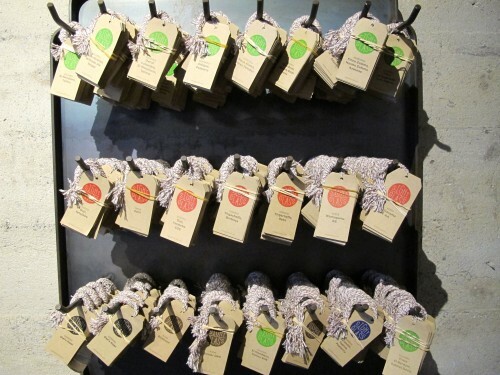 Ritual Coffee Roasters, like the previous two, have been around since 2005 and have done great things since Eileen Hassi Rinaldi and her dedicated team started roasting their own coffee on a Stumptown borrowed roaster back in 2006. Now they maintain a few shops around town, with the Valencia flag ship store being the most impressive. Reminicent of a space ship, the huge central bar features two Synesso Espresso machines and a beautiful drip bar, while the back offers a communal table where people can gather to chat and work. Due to my messy morning I had just missed Eileen but then jumped back on the BART to head to the hidden roastery closer to the center to meet with her and share a cuppa Joe. Also here, Ritual’s buyers invest a great amount of time and energy to visit coffee farmers and develop turly outstanding relationships with them to ensure that every year they get better and better coffees. Later that day I ventured back to my first point of call where Shawna, manager of Blue Bottle Mint Plaza, invited me to join the bar and watch brew master Felix prepare a Siphon. If you’ve never seen this done live, you are in for a real treat and these guys certainly know their stuff. I sat down in between an older lady sipping on her cup of coffee and a tourist from Portugal and all three of us were hypnotized by the fascination that is this unique coffee making device. Felix explained every step of the way to allow everyone to get a better understanding of their unique process. 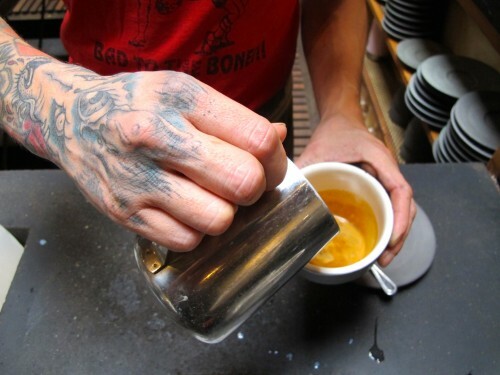 He used 25g of Blue Bottle’s Suke Quto, Ethiopia and added the freshly ground coffee to the risen near-boiling water. After 35 seconds he broke the crust and after 1:30m he removed the heat source and gently stirred the coffee in order to ensure all grounds are wet but there is no overextraction. Soon after the coffee re-entered the bottom chamber after passing through a cloth filter. I took a sneaky look to both my left and right and saw gaping mouths all around. The coffee we ended up tasting was mind boggling. As my fourth day in the foggy city came to an end I decided to kill off some of the excess caffeine in my blood by taking my friend Mat to the Mikkeler bar on Mason street and indulge in some of the city’s finest craft beers before stuffing our faces with some incredibly delicious Thai food at The Old Siam. It goes without saying that this high adrenaline but incredibly rewarding visit to California’s most beauiful city was a total success. The people I met and the wonderfully warm welcome I got everywhere made me feel more at home here than anywhere else before. And who knows, maybe we got something very special in store for 2015. Keep your eyes on our site for exciting updates. What do you think of the San Francisco coffee scene? What are your favourite places? Join the conversation!